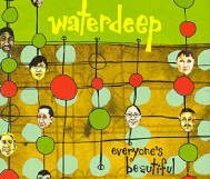 Waterdeep is comprised of two husband and wife teams, Don & Lori Chaffer (both play guitar and share lead vocal duties) and Brandon & Christina Graves (Brandon plays drums, Christina plays keyboards and sings) as well as bassists Kenny Carter. The group all met in Kansas City's New Earth Coffehouse, a midwest touring stop for many bands. Using Don's songs as the base for their improvisational concerts, Waterdeep soon found a devoted following at colleges the midwest.Waterdeep has found a home in the same musical community that has spawned artists such as Caedmon's Call and Jennifer Knapp, and helped them to be named "Favorite Unsigned Band" in CCM Magazine's 1998 Readers' Poll. In late 1998 they decided to partner with a label and have found a home with Squint Entertainment.